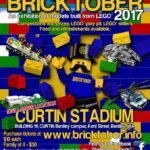 Now that Bricktober Perth 2018 is all done and dusted, I can publish some photos of my latest creation! 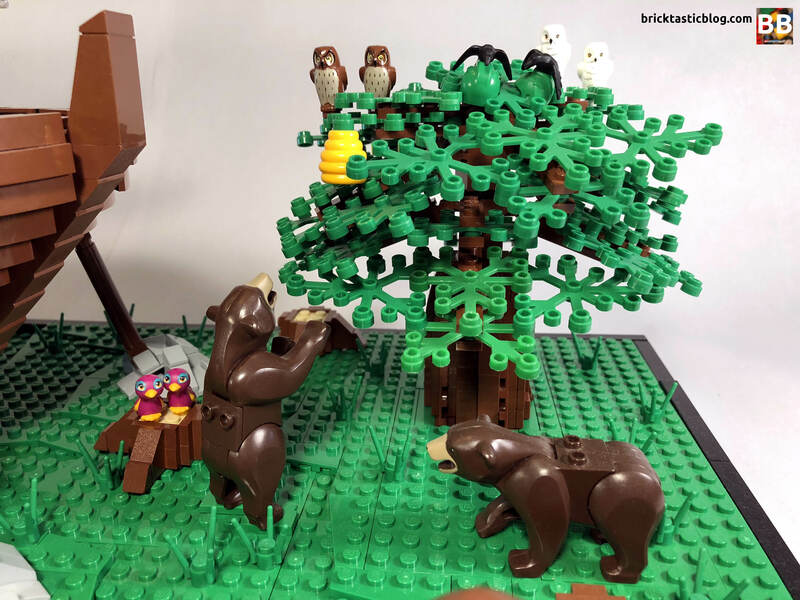 I’m fascinated with LEGO animals, and the huge variety of them. 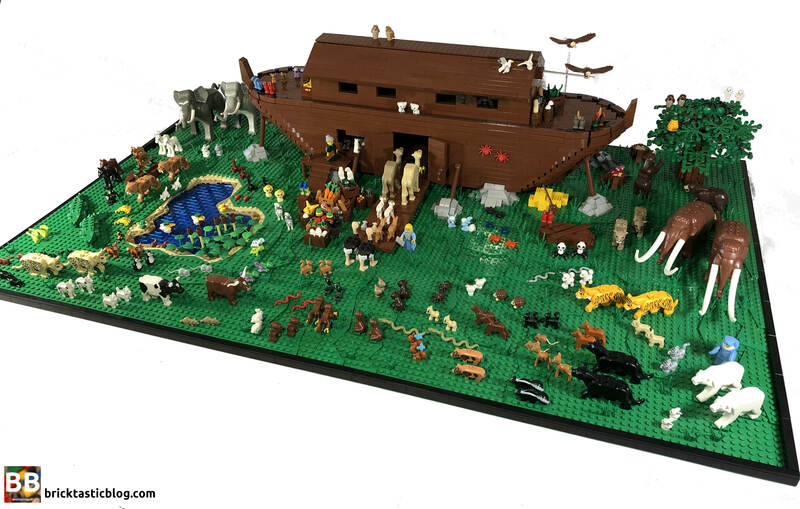 To showcase them I went with a large scale Noah’s Ark. 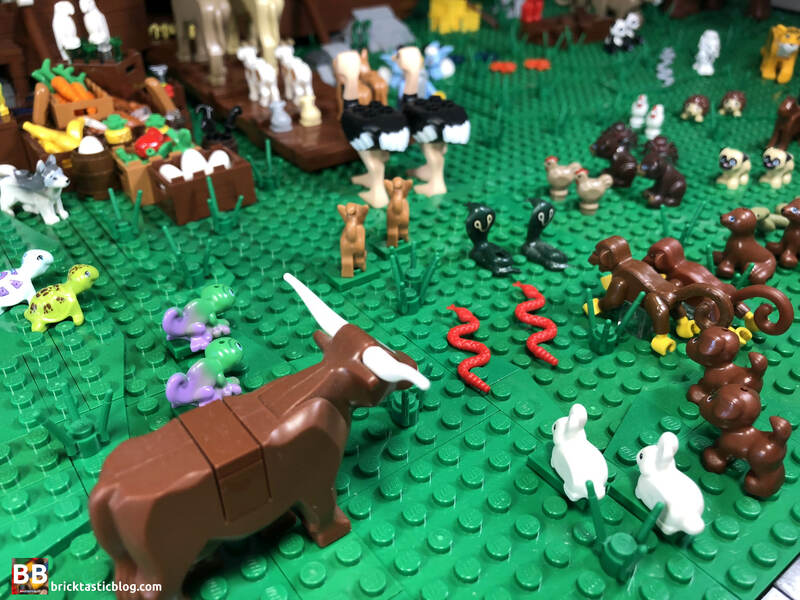 The landscape of the display is a metre wide, and contains around 5000 parts. 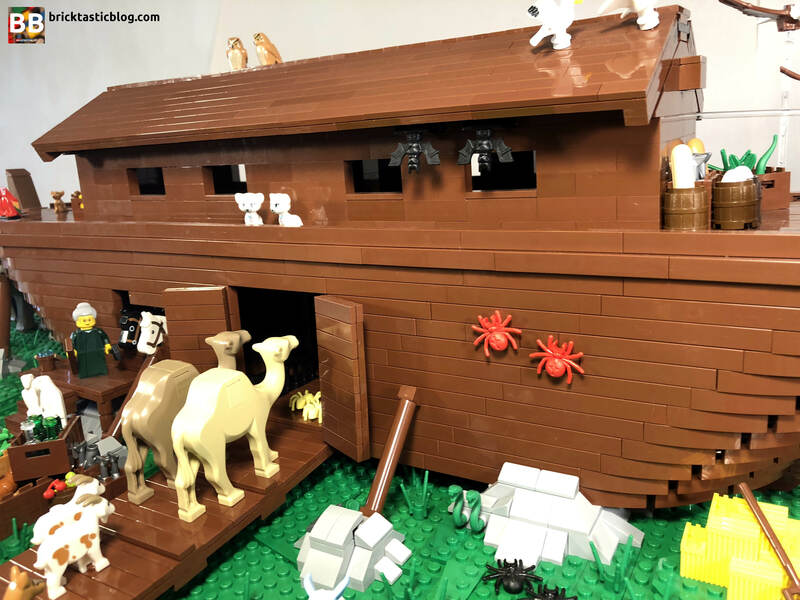 There’s over 105 pairs of animals waiting to go on the Ark, including five pairs of spiders, seven pairs of parrots and eight pairs of snakes. During the show I was able to add a couple more to make it to an even 110. 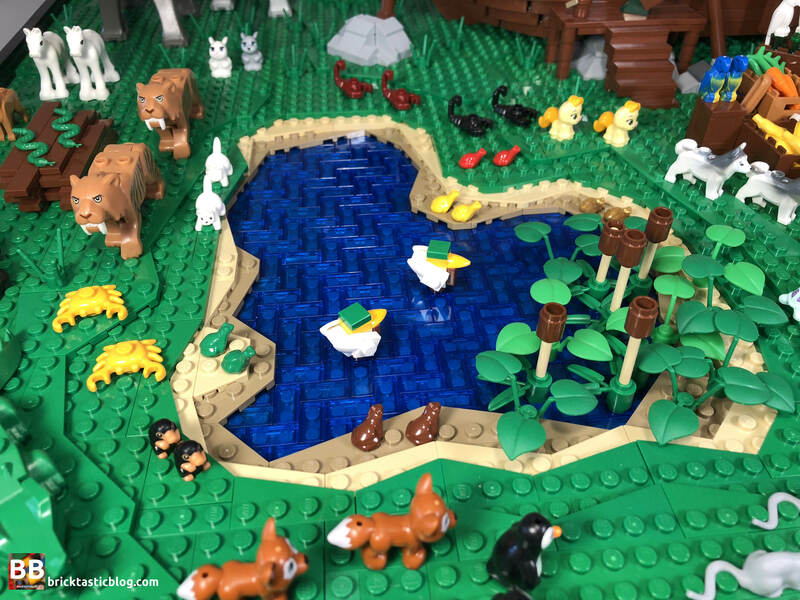 The only brick-built animals are the two ducks on the pond. 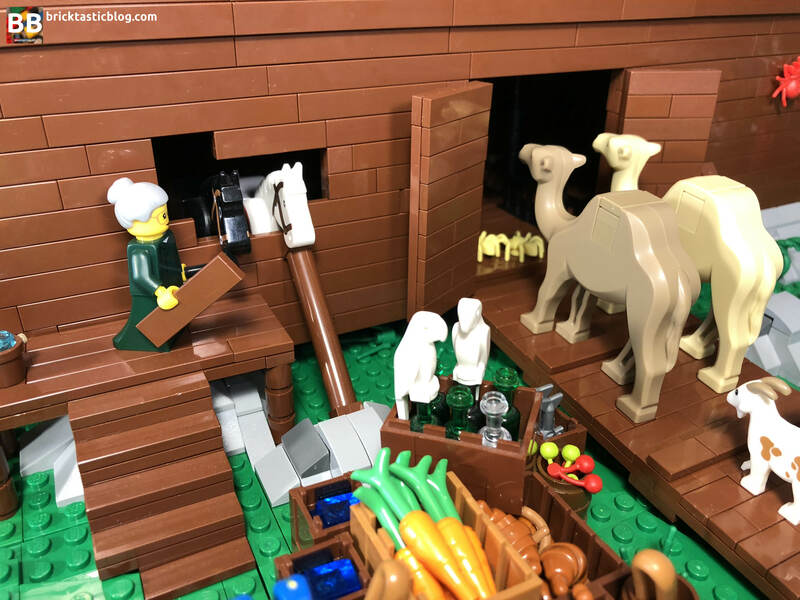 It’s involved a few months of designing through LEGO Digital Designer, around 60 orders through BrickLink.com, and a lot of trial and error to get the right look for the Ark, but it’s all been well worth it to see the look on the faces of LEGO fans big and small. 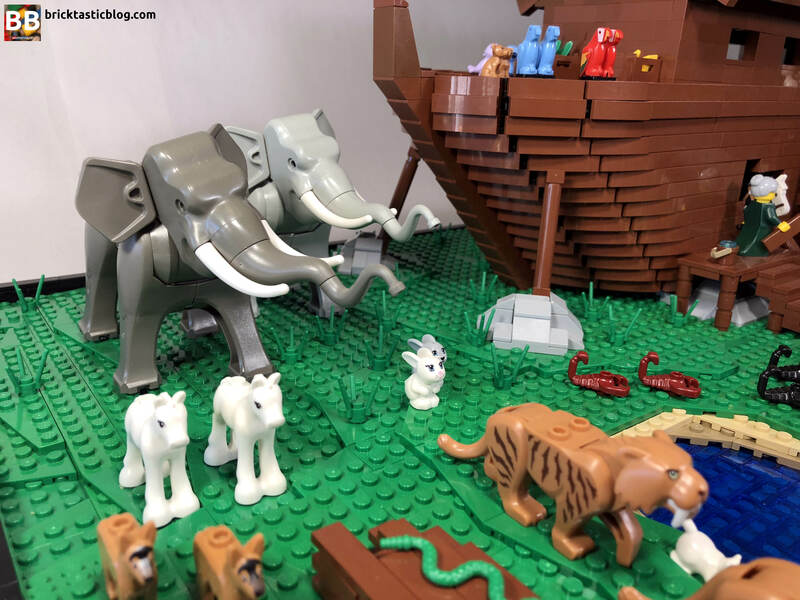 The Ark is completely hollow inside, but does have a base deck, so some animals are able to fit inside. The side walls are built flat and then propped up vertically, and connected to the ‘fingers’ that form the shape of the bow and stern, with the central columns sitting separately. 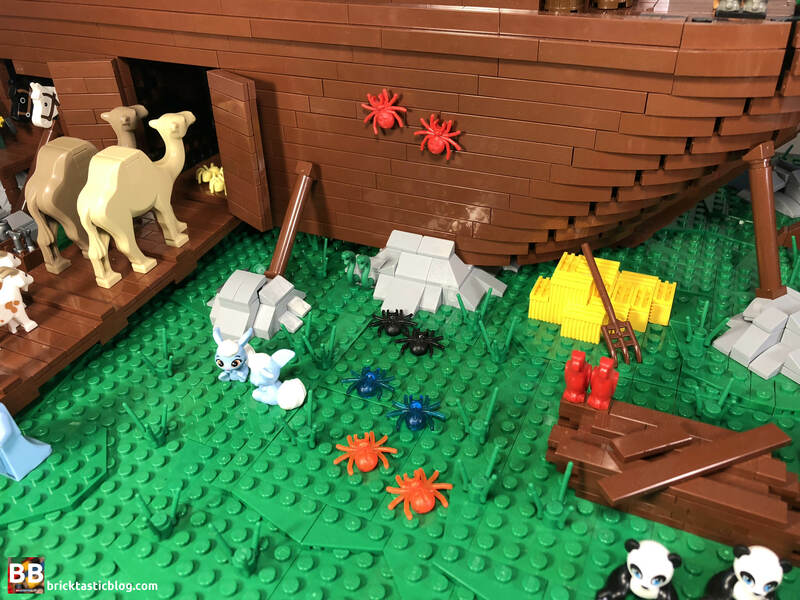 There’s some minor Technic framework inside to hold it together, and to provide handles for transport, as the whole Ark lifts off the grass. 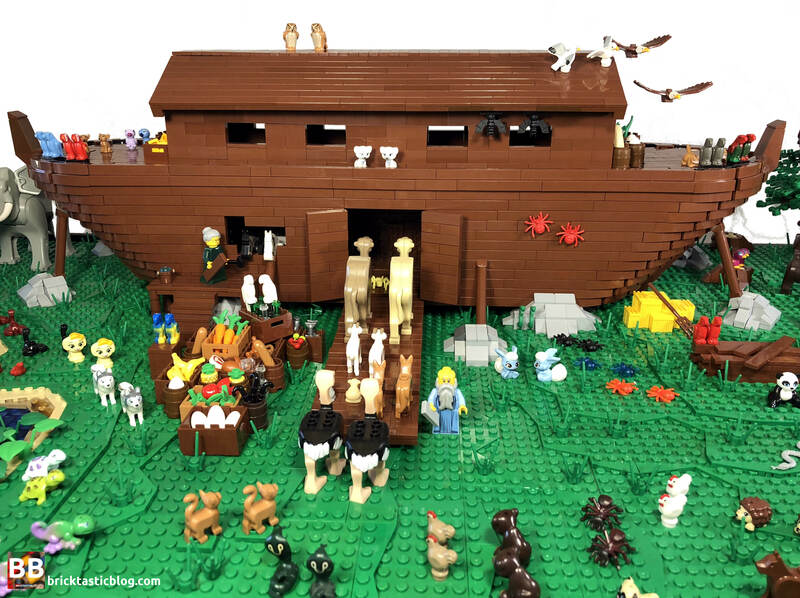 The top deck and roof building simply rest on top, with the whole Ark resting on the four mounting rocks. 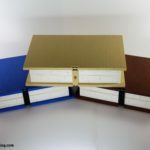 The base also separates out into eight modular sections, for easy transport. 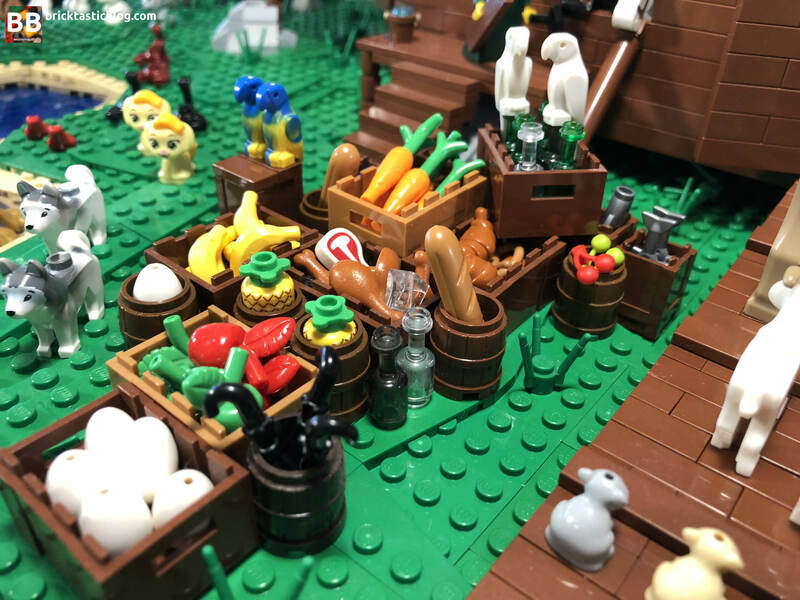 There’s also a large amount of Harry Potter links in the display, with Noah made up of CMF Dumbledore’s clothes, and Mrs Noah using CMF Voldemort’s! There’s also Hedwig, Crookshanks, Scabbers, Nagini, Cho Chang’s owl, and a couple of Nifflers, all scattered around the waiting animals. 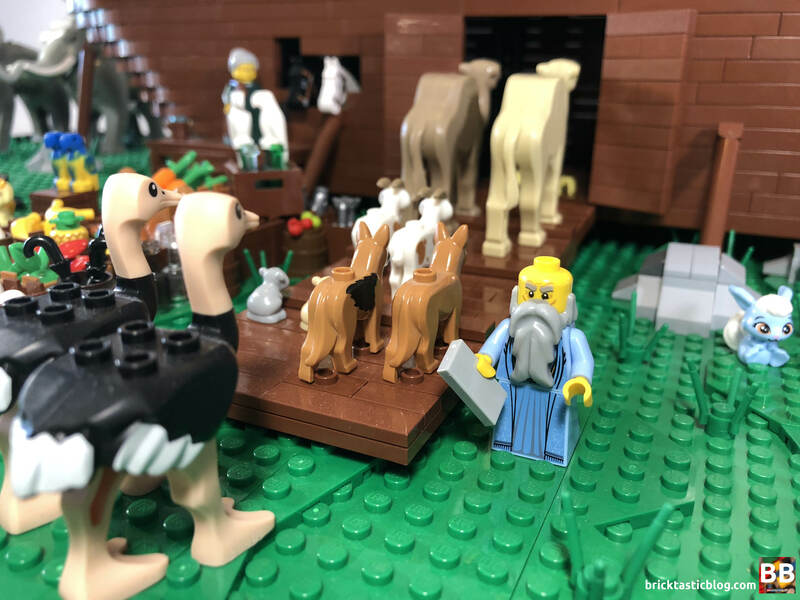 A massive thank you goes out to the many members of the Perth LUG who loaned animals and parts to me, and to the thousands of people who visited and stopped by the display to take photos, say hello, and ask questions! 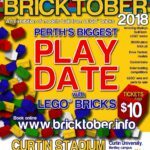 Also, another massive thank you goes to the organisers of Bricktober Perth 2018 – every year it gets better and better, and this year’s show was incredible. 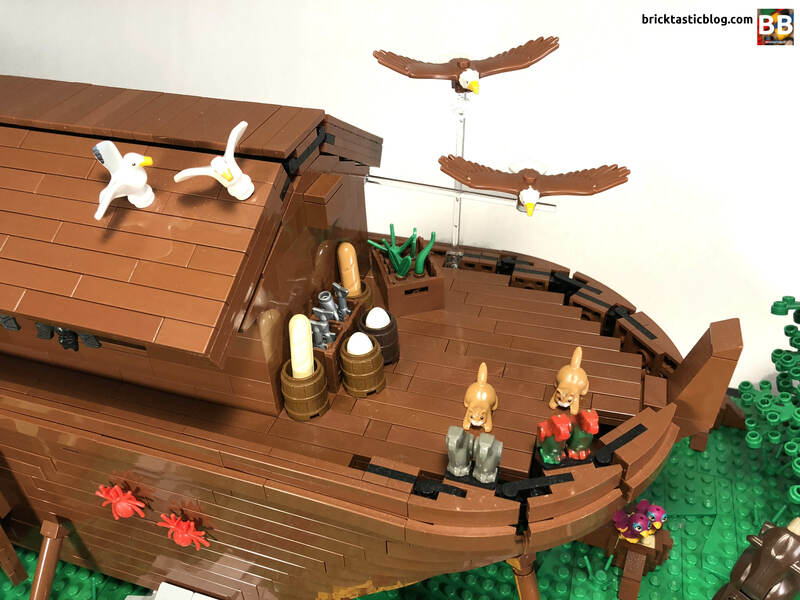 It’s very humbling to be able to showcase my creation amongst so many other phenomenally talented builders of all ages. You can check out more photos on Flickr, but for now, the display is in a few crates waiting to be dismantled so I can start working on next year’s display. Nice toys. Thanks for sharing kids blog.